The first daughter addressed numerous topics in a wide-ranging exclusive interview with NBC News. First daughter Ivanka Trump, the mother of three young children, said her father’s idea of arming teachers is an alternative worth exploring. “I think that having a teacher who is armed, who cares deeply about her students, or his students, and who is capable and qualified to bear arms is not a bad idea, but it is an idea that needs to be discussed,” she told Peter Alexander in an exclusive interview with NBC News. President Trump made the controversial suggestion following the mass shooting earlier this month at a Parkland, Florida, high school that left 17 people dead. In a wide ranging-interview, the daughter of President Trump also expressed confidence that special counsel Robert Mueller will conclude there was no plot between her father’s presidential campaign and Russian government officials to affect last fall’s U.S. general election. Ivanka Trump, whose husband is a key figure in the Russia investigation, said she has not been interviewed by the special counsel’s office. 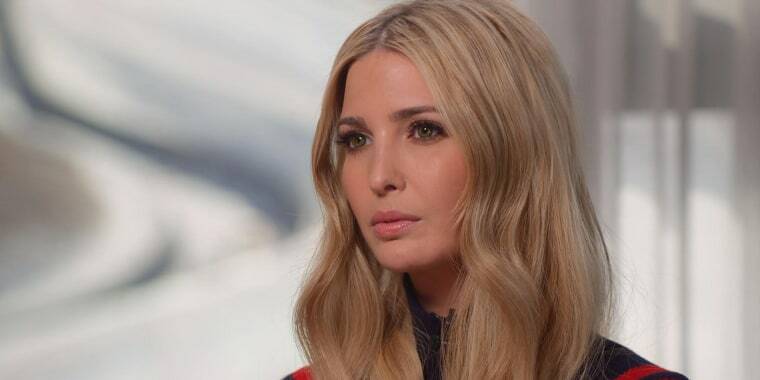 The first daughter was interviewed while in South Korea, where she arrived just days ahead of Sunday’s Olympic closing ceremony to represent the United States. Asked about the numerous allegations of sexual misconduct and assault that her father faces, she said she found the question improper.